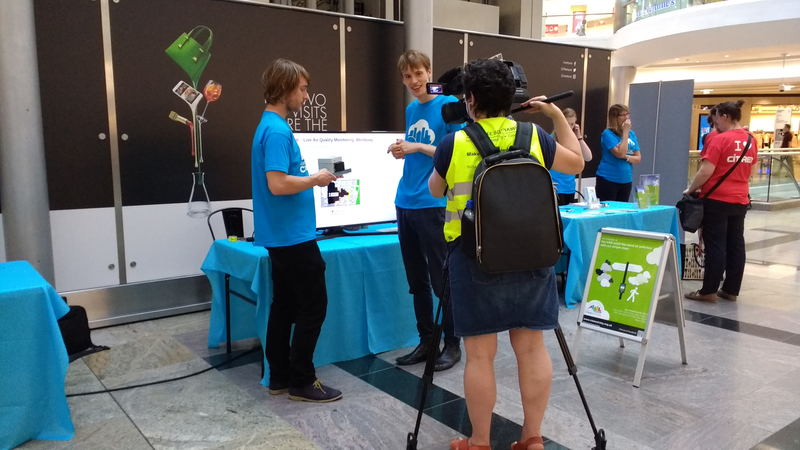 National Clean Air Day – LIVE in West Quay! 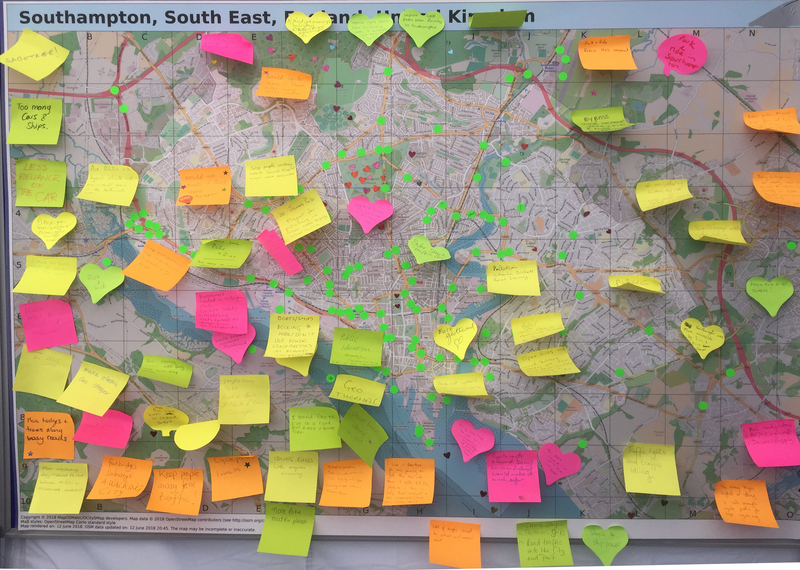 We’re a community project working to tackle air pollution in Southampton and the surrounding areas. Our idea is simple – we want to provide and support residents and local businesses with the tools needed to make a community assessment of air quality. We’ll then work with communities to crowd-source schemes to improve the air we breathe. We’re looking to expand our group of engineers, academics, artists, event organisers and people so we can expand our project. We have developed an affordable (and in many cases free!) air pollution monitor called Sniffy. We did this to provide traceable calibrations which are sourced from our co-location programme. 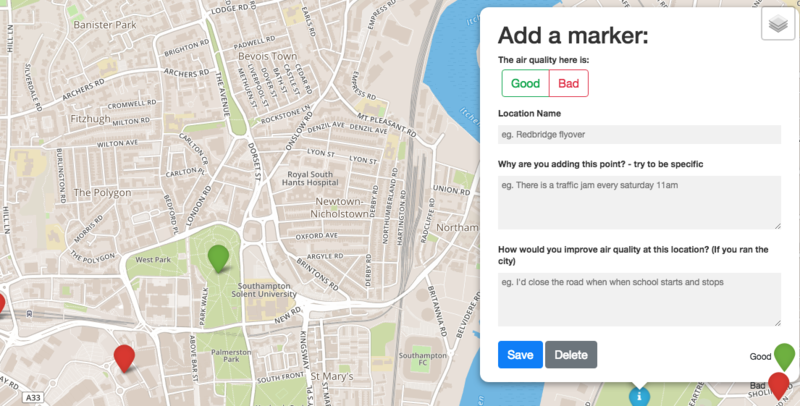 Sniffy will help Southampton’s community measure the quality of the air they breathe in places which matter to them. Typically they will be mounted in peoples homes or at work. Sniffy can be installed virtually anywhere there is power and a Wi-Fi connection. Join the Air Watch Community! Solent Air Watch is run by locals and for locals, which means that anyone can get involved! If you are a local business or resident, you can support us by hosting an air monitoring sensor. We are also working with local schools to teach kids about sensor technology and air quality. If you want to get contribute your skillset to Air Watch and want to use it as an opportunity to drive real change, whilst being part of this exciting project – we are looking for volunteers of different disciplines to support us. We’d love to hear from you! We all need to breathe clean air to live. Air pollution is invisible, but it affects us all. As a resident of Southampton you can participate, simply by attaching a small sensor to your home. This gives you clear visibility of the pollution you are exposed to whilst participating in a revolutionary air quality project. Please get in touch - we are so excited to hear from you! We’re running school campaigns across Southampton to Sniffy, our air monitor is a highly technical device, including a small computer, interesting software and different components. An ideal project to show kids how science and sensors work and the importance of air pollution! Please get in touch with us to find out more! 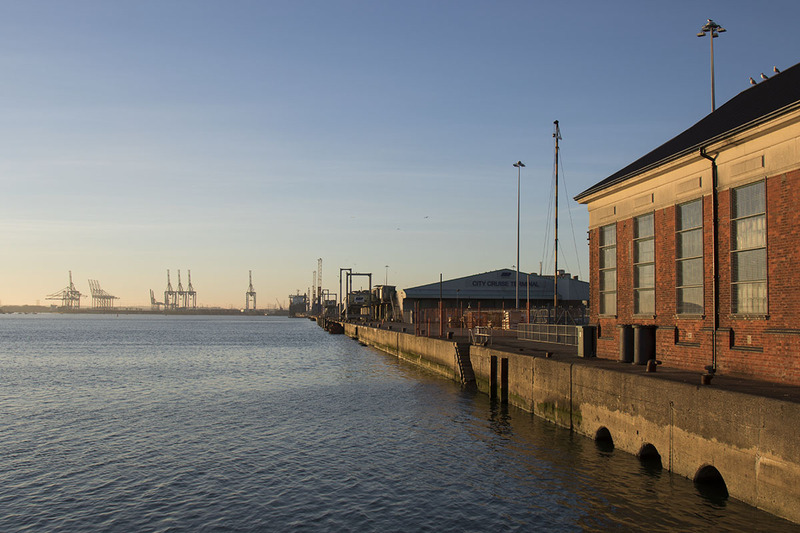 Southampton air pollution is now attracting national attention, businesses can have a major contribution in monitoring and identifying potential causes of air pollution. This can help businesses to understand air quality in their immediate environment, as well as the exposure to pollution experienced by staff. Get in touch with us to be included in our mailing list and learn more.